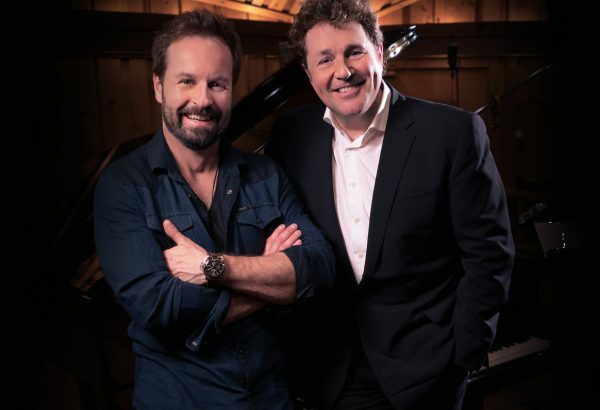 In a packed London Palladium two leading men of the West End Stage and Broadway came “Together” to put on an immaculately staged revue to showcase their album that has reached number 2 in the charts: “Together”…..Michael Ball and Alfie Boe. Having first met 10 years ago, performing together in ‘Kismet’ at the London Coliseum, the theatre stars became lifelong friends. 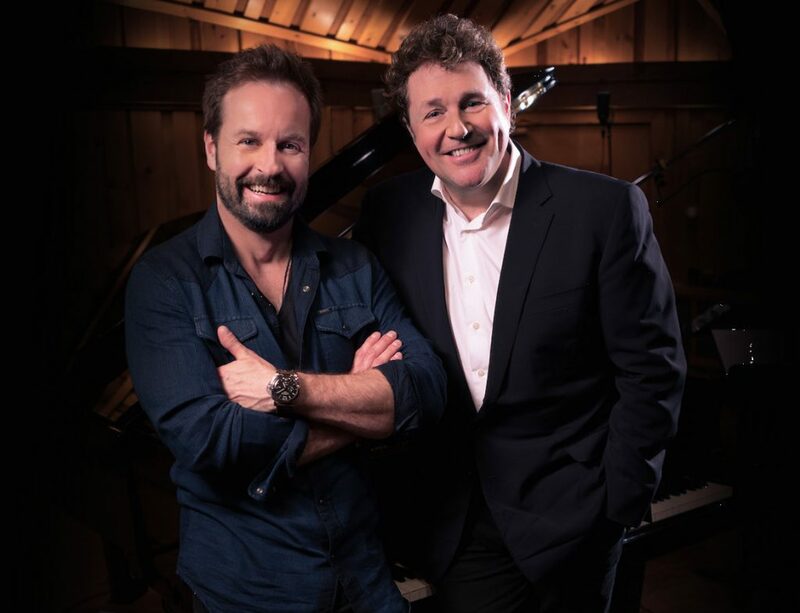 That same year, Michael Ball made history as the first musical theatre star to be given a solo concert at the Royal Albert Hall’s BBC Proms, and asked Alfie Boe to join him to perform at the classical music festival. 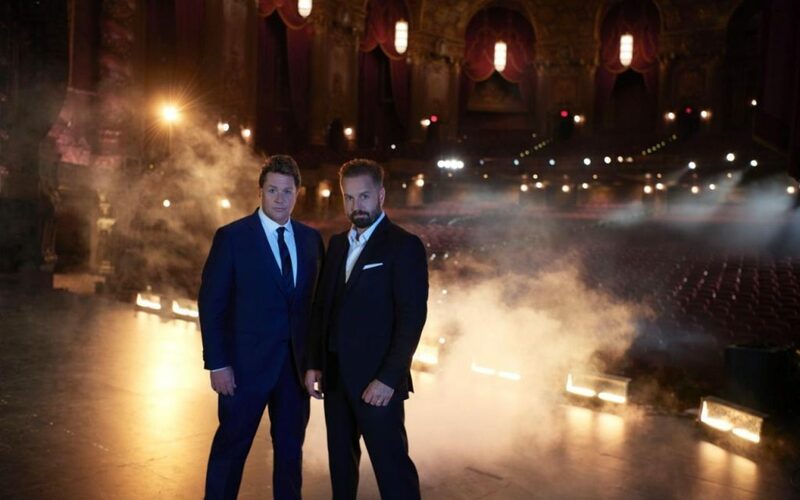 And on their new tour the theatre stars continue to impress with their stunning performances, with a fan base that packed out the Palladium for two nights and a tour that continues into December. With a white staircase for the tuxedoed stars to descend, belting out big tunes backed by an impressive 24-piece band and gorgeous backing singers the evening was presented with style and grace. The band were capable of moving smoothly between swing, jazz, lush ballads and show tunes the evening to me felt like a nod back to the Rat Pack days with music and laughter! Each star is celebrated for supreme vocal skills and theatrical charisma but they also have an easy charm and common touch, the friendship between the two is evident to see with their quick quips at each other about turning up on time or singing in tune! And lots of giggles during “Me and my Shadow” as the dance moves went a little astray! I would say Ball’s voice is softer, his delivery more theatrically sensitive to the lyrics while Boe’s operatic tenor had a greater range and hurricane force! But you could say this pairing is effectively a branding exercise: two well-loved singers for the price of one, promoting a record and tour. 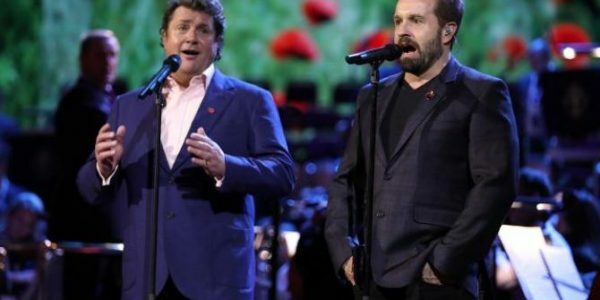 As a fan of musical theatre I enjoyed seeing the two singers for the price of one and hearing some well-known songs sang in a different style. 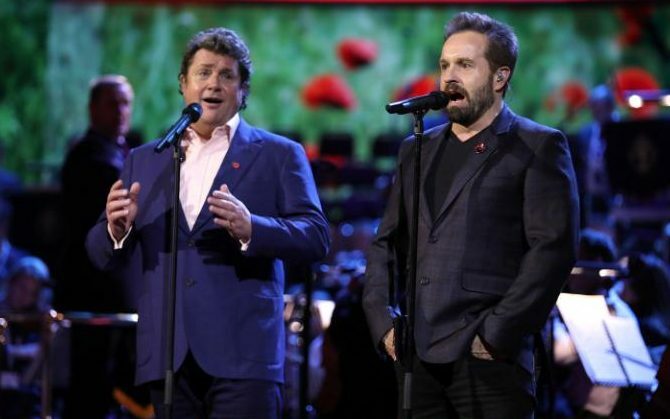 Apart from showcasing numbers from the album Ball and Boe also sang some classics they are known for such as Ball’s signature Andrew Lloyd Webber tune “Love Changes Everything”. He must have sung that song thousands of times in his career but it was still moving to hear live, like his version of “Gethsemane”. With Alfie’s solo spot came “Keep Me in Your Heart” which had us all up on our feet singing and dancing with the women against the men in the audience singing along! I was amazed to hear “Love Reign O’er Me” from Classic Quadrophenia, Boe’s rendition was stunning and I hear he also sang it well at The Royal Albert Hall so I would suggest catching that on You Tube. The show itself was very well rehearsed and choreographed, it was uplifting and entertaining and the mutual respect with which these two fabulous singers hold each other was lovely to witness. I would be interested to see what the duo can do Together again! Tour avalaible to book online and through the Box Office of the theatres.